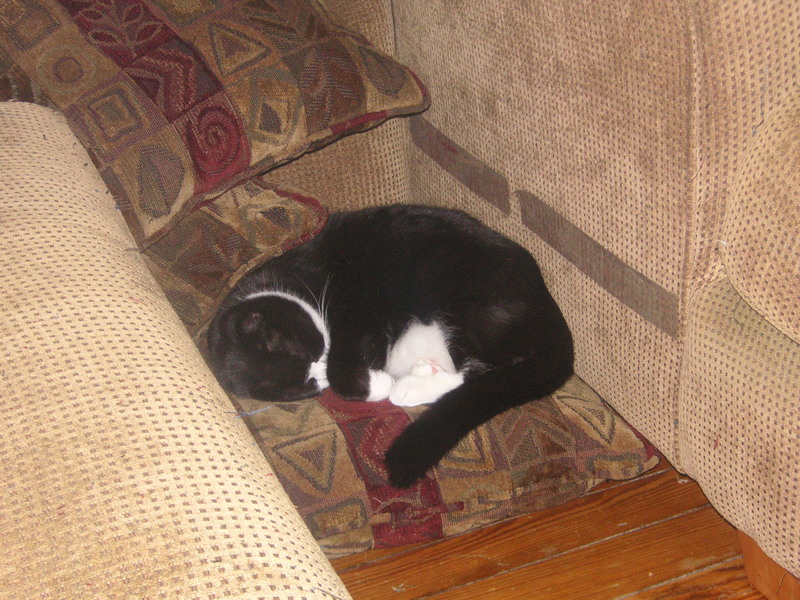 What better way to start off your new year than some pictures of cutie pie cats. You’re welcome. 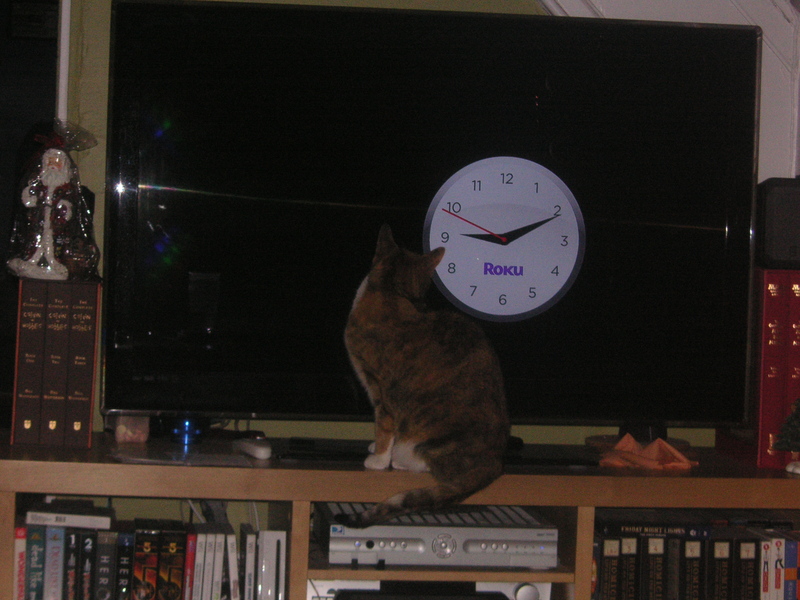 The Roku clock screensaver is Charlotte’s favorite TV show. It’s the only thing she ever pays attention to on our TV screen. Our couches came with a ton of pillows that we usually just leave piled on the floor. One of the pillows made it’s way off the top of the pile onto the floor, and Scout has decided it is her new bed.